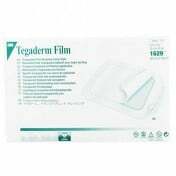 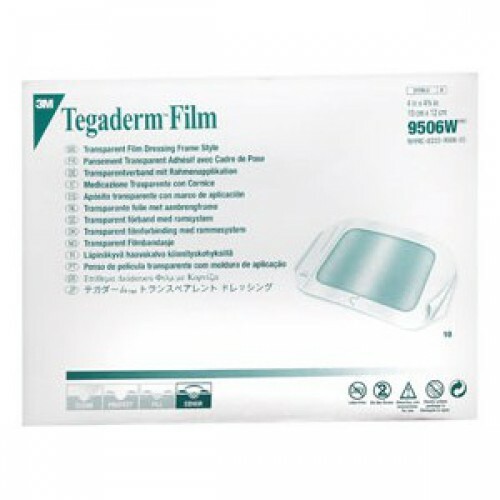 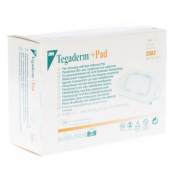 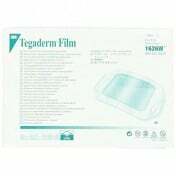 Tegaderm 9506W Transparent Dressing is a frame style bandage dressing that is sterile and hypoallergenic. 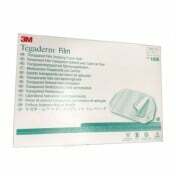 Manufactured by 3M, the 9506W is a rectangular dressing that contours to the shape of your body. 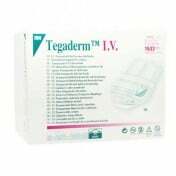 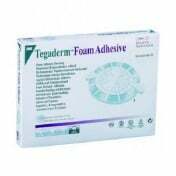 Tegaderm dressing use an adhesive that is gentle to the skin. 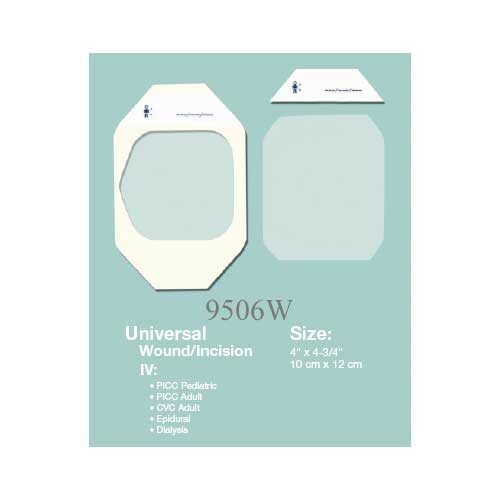 The 9506W dressing is a semi-occlusive and semi-permeable, allowing moisture vapor to pass through the dressing to escape the wound site while also providing a sterile barrier to liquids, bacteria, viruses, and other external contaminates. 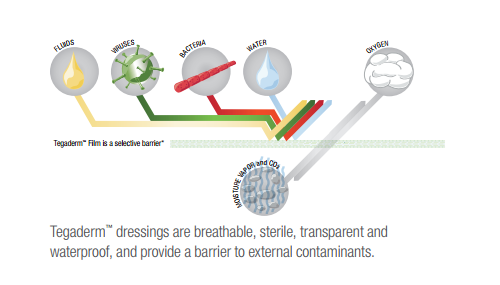 The dressing provides an effective viral barrier that blocks viruses as small as 27 nm in diameter. 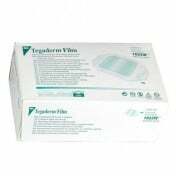 The transparency construction of the dressing offers visibility of the wound site for easier and more accurate application--a window to the wound. 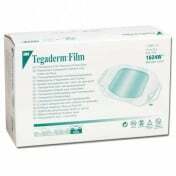 Visibility of the wound site also allows for less frequent dressing changes. 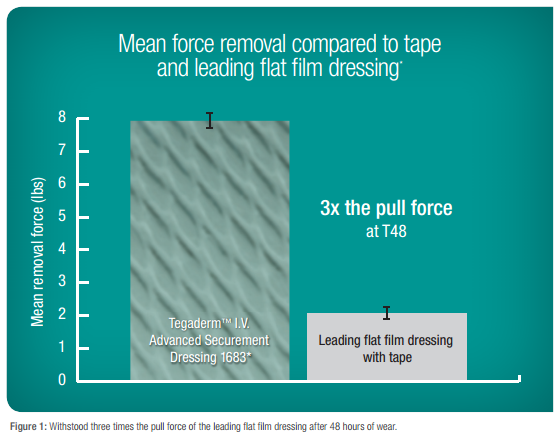 3M manufactures several size options for the Frame Style Dressings, including the 1624W Square Frame Dressing, the 1630 Octagon Frame Dressing, and the 1626 Rectangle Dressing. 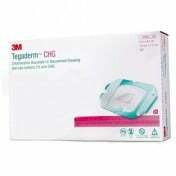 Fixes catheters and other medical devices in place. Transparent film dressing offers visibility of the wound site. 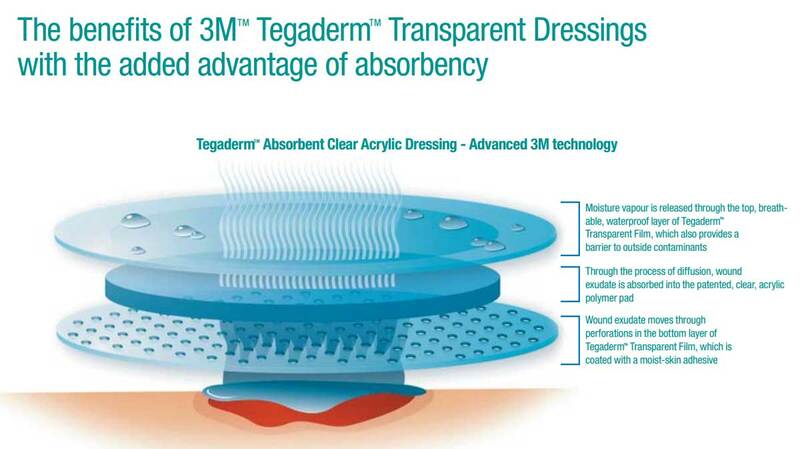 Occlusive to liquids, bacteria and viruses. 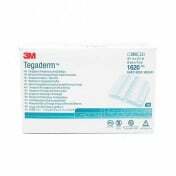 Permeable to water vapor, oxygen and carbon dioxide. 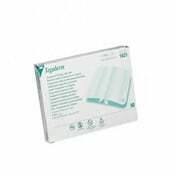 Maintains moist environment to promote healing. 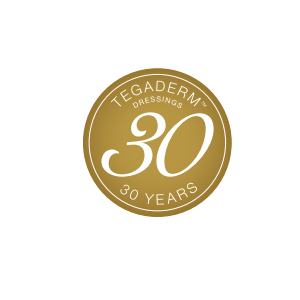 Flexible dressing conforms to body curves.